Posted by wallofsound in Music Industry, Uncategorized. A&R stands for Artists and Repertoire which, of course, means the singers and musicians and their songs and music. The term is a long-standing one within the music industry indexing the old Tin Pan Alley practice of finding separate individuals to perform songs from those who wrote them. It refers to the department within a company who finds and signs artists to the company, or licenses recordings from independent producers, foreign divisions or other smaller companies, and then decides which records should be released on the label. A&R staff tend to express their role in relationship to the artists they work with, succinctly summed up by one A&R staffer’s self-description as “a groupie with a cheque book” (Frith 1983: 102). But they often also share the notion with popular music scholars that they are gatekeepers who decide who to sign, what to record or licence and what to release with a keen sense that only one in eight of the records they release will make a profit (Negus 1999: 32). Following the analogy of a gatekeeper, who decides who will go through, some theorists have examined the way that the discourse of A&R workers constructs their activities as a transformational process in which music is turned into other organisational products – ‘property’, ‘demo’, ‘tape’, ‘cut’, ‘master’, ‘release’, ‘product’, and finally (they hope) ‘hit’ – through each stage of production (Ryan and Peterson 1982). Negus argues that the analogy of the production line is too superficial, and instead casts A&R staff following Bourdieu (1984) as ‘cultural intermediaries’. 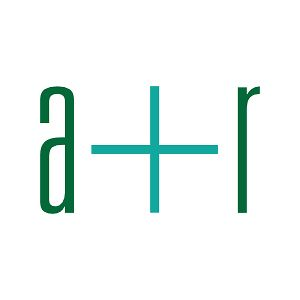 This emphasis shifts the attention from the function of A&R as part of a popular music system and to the relationships of A&R within a wider popular music culture. Negus suggests that “the boundary between the recording industry and potential artists is not so much a gate where aspiring stars must wait to be selected and admitted, but a web of relationships stretched across a shifting soundtrack of musical, verbal and visual information” (Negus 1992: 46). This allows him to present such record company workers as far more creative and autonomous than in other analyses (Negus 1996: 36-65). He is particularly interested in the way that the roles of A&R staff, musicians, other intermediaries such as DJs, managers and journalists, and and the roles of fans are blurred, often within the person of a single individual, and how networks of contacts, and knowledge about pop’s past and potential future are utilised to exchange information (Negus 1992: 47). Musicians themselves are often presented as working with an idea of creativity and commerce as polar opposites. In an interesting ethnographic study of bands playing in Liverpool in the 1980s, Sara Cohen observed that the musicians made strong distinctions between the creativity in music that they wanted to pursue, and the commercial restrictions they felt limited them (Cohen 1991). Of course Cohen’s study focused on local bands who did not necessarily have a record contract at all, and it may be one of the characteristics of commercially successful performers that they do not make such a distinction, or that they are far more concerned with the pursuit of celebrity and fame, than they are with their own creativity. Jason Toynbee (2000) has attempted to rethink the idea of creativity through the notion of ‘agency’, and what he sees as ‘institutional autonomy’. In his analysis agency is the possibility to ‘select and combine’ musical material, and to speak with a distinctive musical ‘voice’ within a restrictions set by the popular music system and popular music culture. However we understand A&R – either as gatekeepers in a production process, or as parts of an autonomous and amorphous network of cultural intermediaries – an issue remains about the implications of their ideas and practices for the kind of music the corporation records and releases. Negus suggests that staff classify artists into one of two groups which more or less map on the classic distinction between Rock and Pop music (Negus 1992: 54). The first category, which he defines as an ‘organic’ ideology of creativity, positions A&R as discovering and nurturing of new talent, while in the second A&R is as bringing together different talents (writing, choreography, image-making, singing, playing, producing) to synthesise a new star image. For Negus these two ideologies fit with a wider notion of the rock tradition that was still prominent in the 1980s when he conducted his research. Under these conditions even a mediocre rock band would find it easier to get a record contract than music-makers outside this polarity. Negus’ analysis is now well over twenty years old, and his work is based upon interviews with staff who probably joined the industry in the late 1970s or early 1980s, bringing with them a rock versus pop binary that was dominant in their adolescence. The landscape of popular music culture has changed quite radically since then. There are at least two noteworthy issues that arise from these changes. First, form many young audiences rock no longer has the same resonance, replaced by a postmodern sensibility in which the ‘inauthenticity’ of ‘manufactured’ pop groups is not a negative quality, and no-group, no-star, no-song dance music is now possibly the most common form of music-making. If anything, the notion of networks of information and the blurring of boundaries suggested by Negus are even more prominent in this contemporary context than they were in the mid-1990s. Ideas about creativity have themselves been transformed. And yet the major corporations still seem much happier with the idea of a group with a lead singer that writes its own songs, than it is with the new sensibilities of dance music. Having said that, there is a second strand of contemporary popular music discourse which seems to run in the other direction. The ability for music-makers to communicate directly with fans through the internet, and for music fans to actively search out new musical experiences, has enabled the idea of the ‘unsigned band’ to become more widespread. Signing, of course, means making a contract with an A&R department to record with a record company. The fan discourse around ‘unsigned bands’ imagines a group of music-makers who have been untainted by the creative compromises forced upon them by A&R, or whose raw talent and direct communication with fans articulates the ideology of popular music far more effectively than corporate record labels can. Carey Sargent (2009) has linked this explicitly by to the cultivation of local audiences through the exchange of ‘social capital’ both on- and off-line, and details the difficulties involved in using this method to attract wider audiences. It is no surprise, then, that this discourse is used by music companies to promote less well-known music-makers. There are now a large number of web services which offer exposure, and even management and promotional services, to ‘unsigned bands’. While most of the bands whose music can be experienced at these sites will not have a major record company recording contract the very fact that they have established a relationship with a music industries company stretches the idea that they are ‘unsigned’ beyond its original use. So while the idea of the unsigned band may have its origins in the discourse of DIY music, it has become an important art of traditional corporate A&R departments as well as an extension of what it is to be a music industries company. In one dimension, then, the idea of unsigned band has just become one of the ways in which corporations spread risk, and just as the major record companies increasingly relied on independent producers and small labels for indie rock and dance music in the 1990s, the industrial networks around ‘unsigned’ music have become an important part of industry practice. It is interesting to ponder if ‘unsigned band’ functions for younger western consumers in a similar way to ‘world music’ does for their older counter parts. Bourdieu, P. (1984). Distinction: a social critique of the judgement of taste. Cambridge, Mass., Harvard University Press. Cohen, S. (1991). Rock culture in Liverpool : popular music in the making. Oxford ; New York, Clarendon Press : Oxford University Press. Frith, S. (1983). Sound effects: youth, leisure and the politics of rock. London, Constable. Negus, K. (1992). Producing pop: culture and conflict in the popular music industry. London, Edward Arnold. Negus, K. (1996). Popular music in theory: an introduction. Cambridge, Polity Press. Negus, K. (1999). Music genres and corporate cultures. London, Routledge. Ryan, J. and R. A. Peterson (1982). “The product image: the fate of creativity in Country music.” Sage annual review of communication research(10): 11-32. .” Information, Communication & Society 12(4): 469-487. Toynbee, J. (2000). Making popular music : musicians, creativity and institutions. London, Arnold.